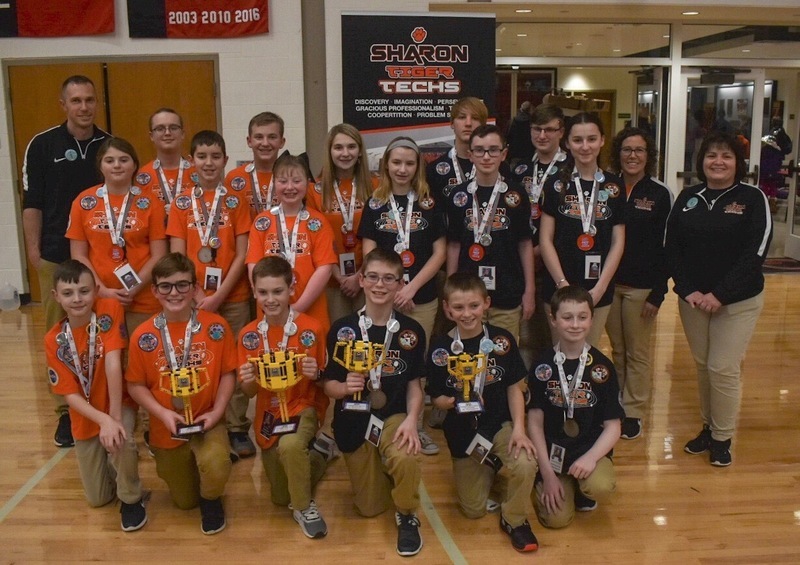 First Lego League (FLL) is an after school robotics team for elementary and middle school students in the Sharon City School District. The team started during the fall of 2010 with 8 students and has since grown to two teams comprising of 20 students. Both teams meet on a weekly basis during the competition season from August to February. The teams are introduced to real-world engineering challenges by building LEGO-based robots to complete tasks on a thematic playing surface. In addition, students must develop an innovative solution to a real-world problem and implement their solution with the help of the community. Students learn to work together as a team and develop skills of coopertition. First Lego League inspires innovation by building on science, technology, engineering, and math skills. The program fosters well-rounded life capabilities including self-confidence, communication, and leadership. Teams compete at state and national tournaments. To receive an application, please contact Mr. Tomko at dave_tomko@sharonsd.org. Applications are accepted year-round. Team members are selected based on a completed application, their qualifications, and the available spots during a given season.